we all have those 'terrible, horrible, no good, very bad days'. Troubles will come our way. issues that are hard to accept. and their families never had it all together either. that God has promised to give us strength to face the trials that come our way. but God is always faithful! We are pressed on every side by troubles, but we are not crushed and broken. We are perplexed, but we don't give up and quit. Dear God, thank you that you have promised you will never abandon us. I ask you to remove their fear and help them to put their trust in you. and give them the strength to go on. This is exactly what I was just trying to tell an old friend of mine.....I will be sending this link to her. Thank you so much!! !God is amazing. Thank you for this-I am soon off to the hospital for yet another surgery. I will tuck those Scriptures in my heart and mind. simply amazing what the human spirit can do with a little human and divine assistance!! Thank-you for this post. I needed this today. Thanks for this ,I need this this morning!I am sitting here being housebound for almost 3 weeks now ,and kinda feeling sorry for myself.But I know there are SOOO many more people out there that feel so much worse then I do.And I know God only gives us as much as we can bare.Thank-you Jesus for your unfailing love!!! So true, Judy, thank you! Such a 'telling' photo of how we see things when we leave God out! Thanks for this today. . . .a very timely post. Sometimes it is hard to remember that "in all things. . .God works! !" AND we tend to see things from an earthly perspective. Corrie ten Boom talks of sitting at her grandmother's feet as the grandmother worked on a needlepoint. All Corrie could see was a mess of strings. . . .but when Grandmother turned it over. . .the picture was beautiful and clear. We see the mess of strings sometimes, but God see the final work of art. Thank you for the slices of bread every Sunday. 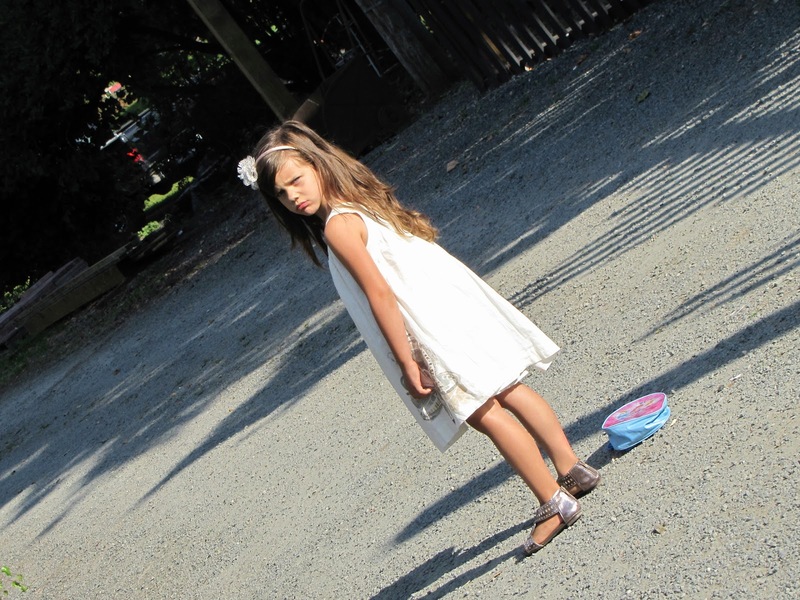 A wonderful blog, and a wonderful (but funny) picture of your granddaughter. I wonder if you caught that expression just when it flashed across her face, or if it was staged for you. We all have felt what's on her face! Boy do we lean on those scriptures,Blessings to you and thank you for this spiritual lift. Thank you for the beautiful thoughts, Judy. I must also tell you what a pleasure it was to meet most of you and have a copy of your wonderful cookbook signed at Ten Thousand Villages in Vancouver. You are lovely, gracious ladies.